We cut down a tree. Actually, I asked my brother to come and cut it down, as he has some ridiculously oversized chainsaw for some reason. And chaps etc. It has a short bar on it for most of the pics, he only put the long bar on it to cut the stump off. Here he is just starting out. And what it looked like pretty much before starting. Shaded an area that didn’t need shade, and took up lawn space. We have a tiered back yard, so usable area is handy. Author NigePosted on January 1, 2015 April 8, 2016 Categories garden, http://schemas.google.com/blogger/2008/kind#post, swmbo, treeLeave a comment on We cut down a tree. You know how I said I was never moving again? I lied. I have since moved twice, but this is the last time for quite a while, as we now own our own home instead of renting. And which means SWMBO now has a zillion more jobs for me to do. 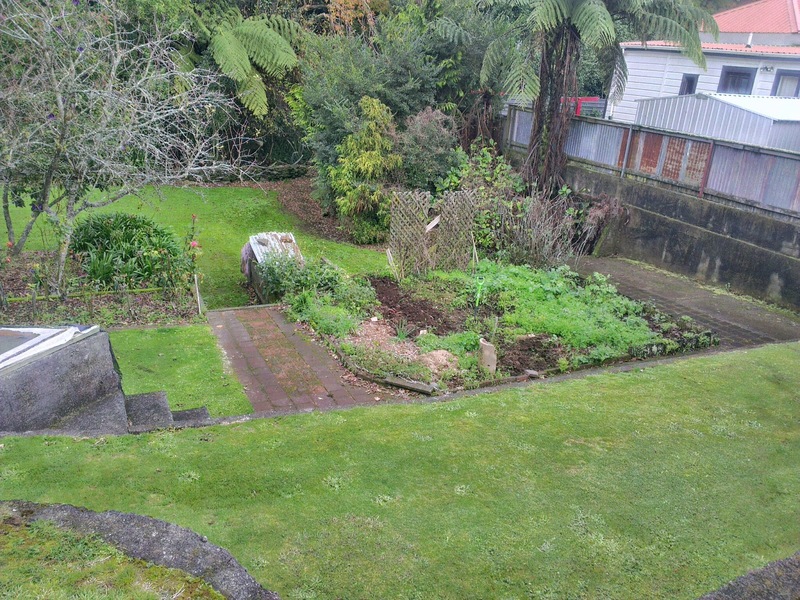 I dug part of the vege garden this morning. Exciting stuff. I actually got further than the pic, this ia kind of a “before” pic, I’d just started. I was so exhausted afterwards I forgot to do an “after” one. I do like having a large backyard for the demi-humans though, even if it is tiered.